1991. The top photo shows the hot-liners taking pledges of money. It could be Sue Beardsmore checking her cue cards. 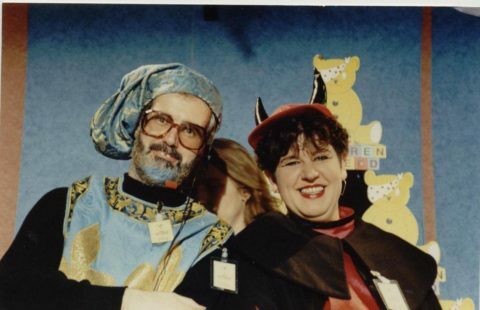 The lower photo shows Bob Meikle and probably Diane Lester in their character outfits. 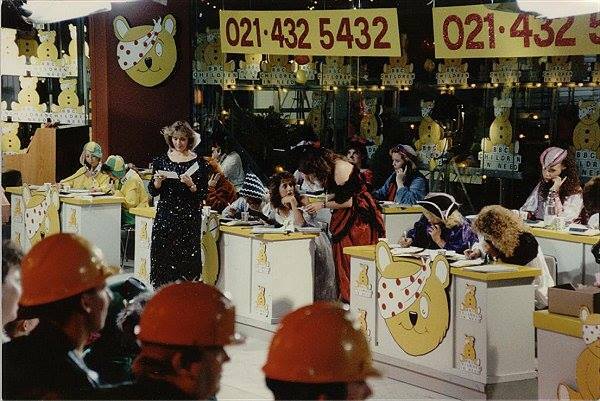 These photos were originally posted on the Pebble Mill Engineers Facebook page.